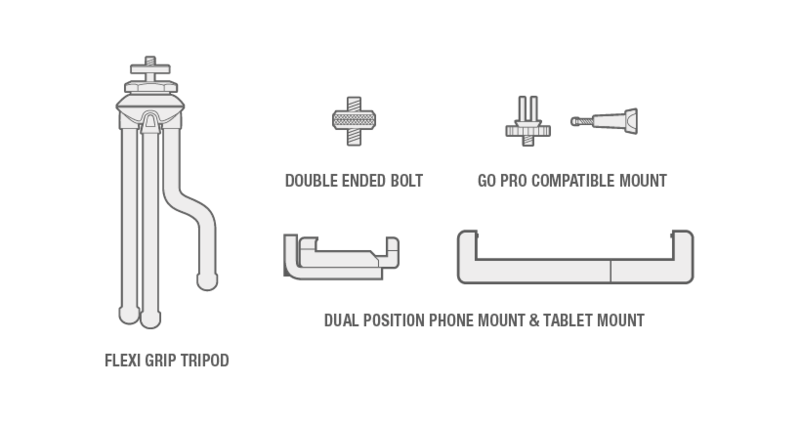 The package includes one GoPro mount, one phone mount, one tablet mount, one double ended bolt and one flexi grip tripod. * GoPro waterproof housing not included. 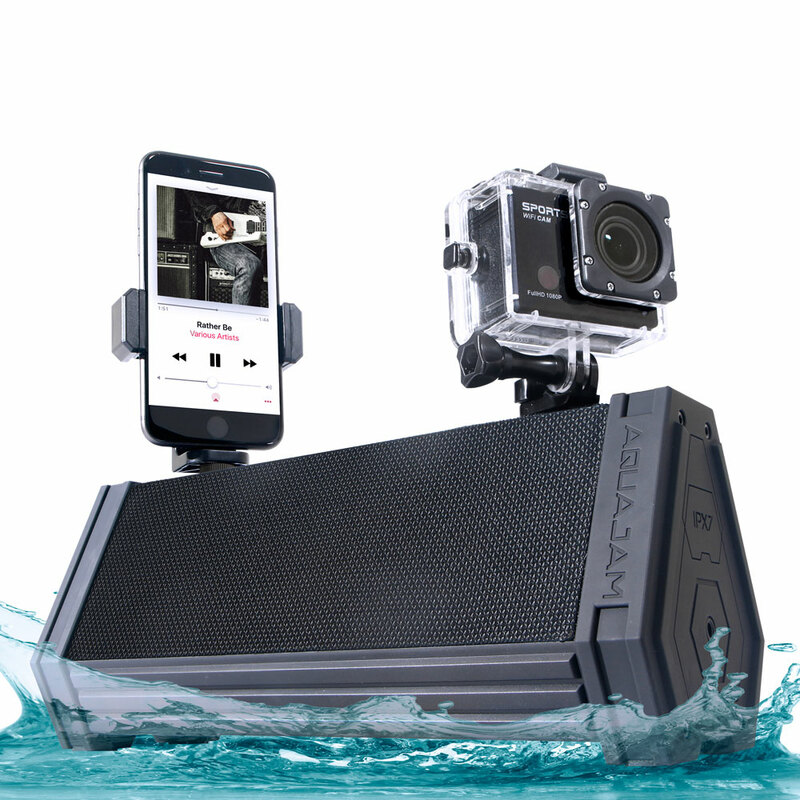 Film your pool activities or any party. 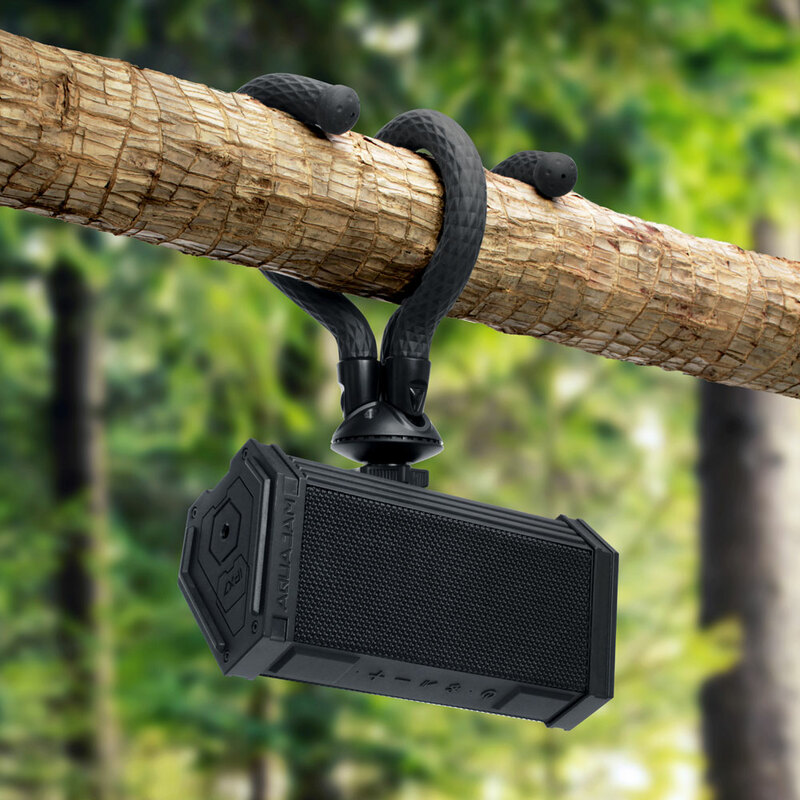 Can be attached to any of the attachment ports on the AJX-3 and AJM-3. 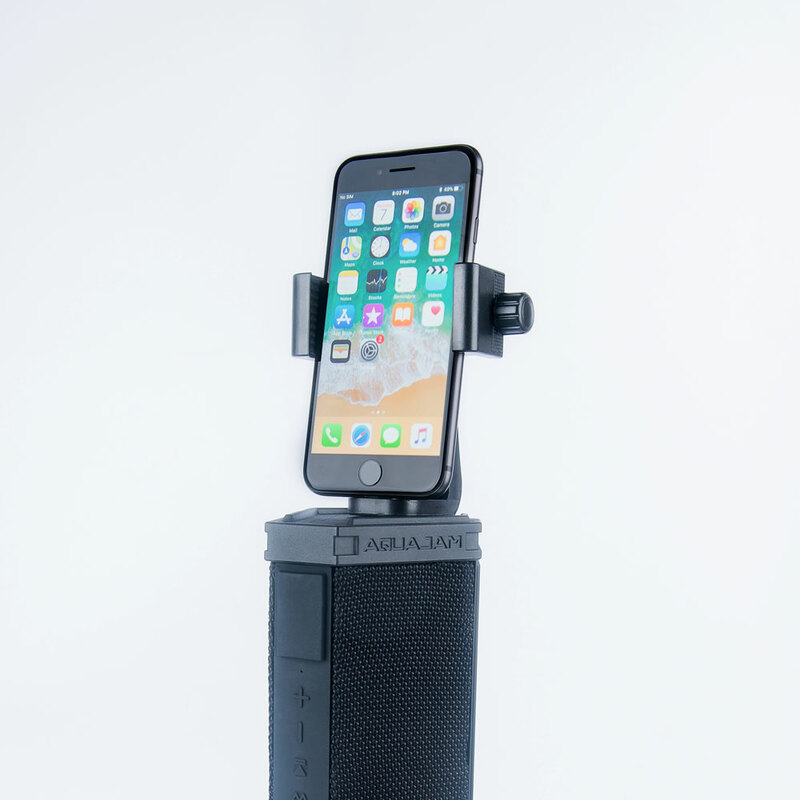 Compatible with most major smart phone brands up to 5.5’’(including Iphone 6, 7, 8, X, HTC and Samsung). 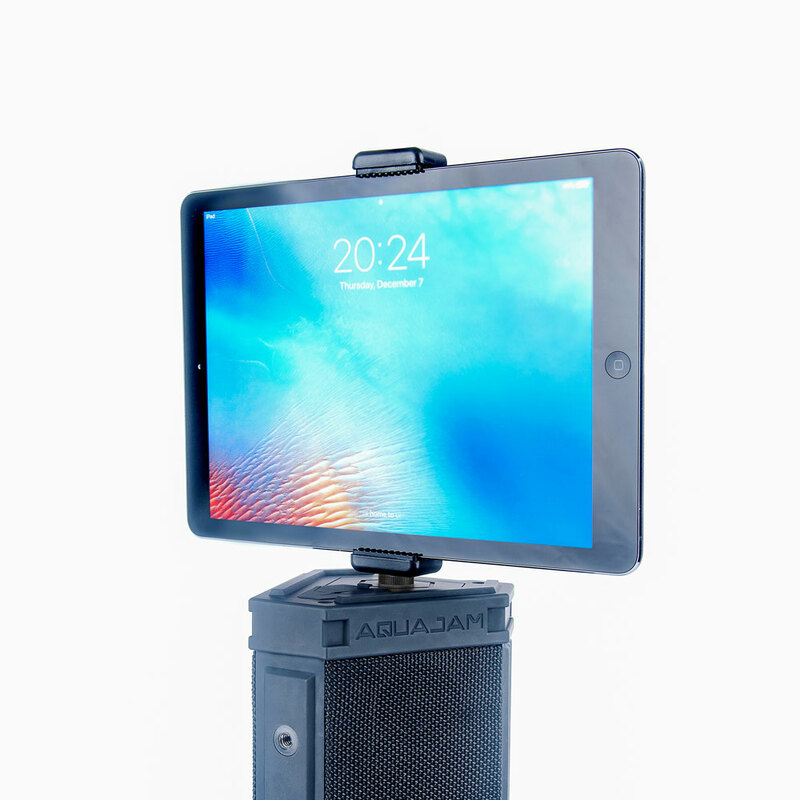 Compatible with most major tablet brands up to 10’’ including iPad, iPad mini. 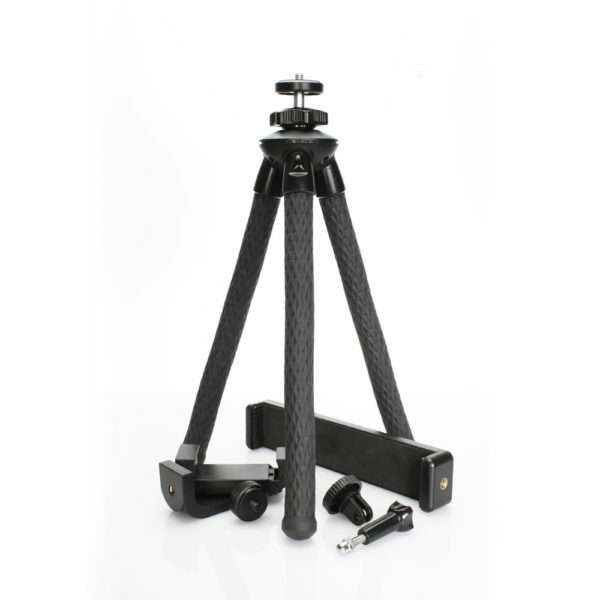 Super versatile tripod with high grip flexible legs allows you to grip onto any surface and hook/wrap around beams, poles, trees and more. Will support AJX-3 and AJM-3. Attach with your AJ phone and tablet mounts or use to attach a standard (for camera and tripod) ¼’’ screw mount.